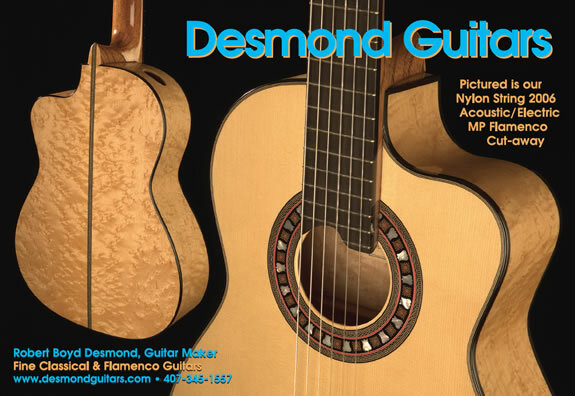 "A Desmond guitar exemplifies every good thing that a guitar can be. Nothing is spared in it's construction. From the quality of sound, to the excellence in design, aesthetics, and fine craftsmanship, I stand proudly behind each and every guitar I construct." ©2001 Desmond Guitars. All rights reserved.